Under Ohio law, both parents have a legal duty to support their children, according to their ability to do so. Ohio’s child support guidelines are a formula for calculating child support based on each parent’s gross income. The guideline amount becomes the Court order, unless a party can show that the guidelines would be unjust and inappropriate in a particular case. In case of a change in the parents’ income, they can come back to Court and ask for a modification of child support. Child Support Orders are enforceable Court orders. If a parent does not comply with a Child Support Order, the other parent or the child support enforcement agency can file a civil contempt of court. If the Court finds that a parent has willfully disobeyed a child support order, he or she may be fined or incarcerated. Documents pertaining to child support can be found on the Forms & Filings page. When are Child Support Orders established? Child support orders are established in a divorce or dissolution case. 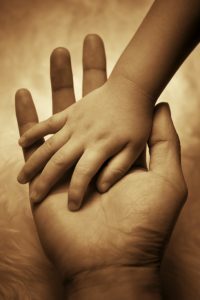 Ohio law requires all child support to be collected by the State Office of Child Support. Each county has a local child support enforcement agency. When can I make my child support payments? Payments may also be made as Moneygram payments at participating locations including, CVS, Walmart, Advance America, Ace Cash Express or by going to moneygram.com/PayBills and clicking on the Child Support Link. Checks and money orders must include the name of the person who is ordered to pay the child support, his or her social security number, court case number, and SETS case number. A parent may request a modification of a child support order by contacting the Lake County Department of Job and Family Services – Child Support Enforcement Division or by filing the proper motion with the Court to change the order. This can be done throughout the duration of the child’s minority. Modifications require a showing of changed circumstances from the facts as they existed at the time the last Order was entered. The Court’s IV-D Division handles modification of child support cases. Child Support Orders are enforceable court orders. 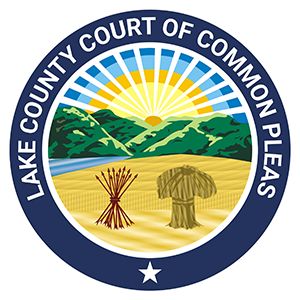 If a parent does not comply with a lawful Child Support Order, a civil contempt of court action can be brought by a parent or the Lake County Department of Job and Family Services – Child Support Enforcement Division. What about medical expenses and health insurance for the child? In addition to child support orders, the court is required to order one or both parents to provide for the health care needs of the child. Either parent or both may be required to pay any amounts not covered by insurance. The expected cost of ordinary and reasonable medical and dental expenses are already built in to the child support guidelines. The Court will make a separate order with regard to how the parties will pay these expenses.